"Rather than try to calm down ... I would just show it through emotion: I would just cry or yell," says Jennifer Konjoian. (CNN) -- Jennifer Konjoian was 10 years old when she put a plastic bag over her head. She remembers doing it impulsively, for no other reason than to get attention. For her mother, it was the last straw in a series of tantrums that led her to believe something was seriously wrong with Jennifer. After that incident, she took Jennifer to a psychiatric hospital. But that was far from the end of the journey for this mother and daughter to understand what was making Jennifer feel so frequently frustrated and overwhelmed by daily life situations at home. It took a second hospitalization at a different institution before she received medication that worked -- lithium -- for a diagnosis that seemed to fit: bipolar disorder. Mental health professionals say that more and more children are receiving diagnoses of and treatment for bipolar disorder, and at younger ages. This is a serious brain disorder in which a person goes through extreme mood episodes of mania and depression, going from intense excitement and lack of focus to sadness and even suicidal behavior. A 2007 study in the Archives of General Psychiatry found that the number of office visits resulting in a diagnosis of bipolar disorder for those under 19 was 1,003 per 100,000 people in 2002-03 in the United States. This was a dramatic uptick from 25 per 100,000 people in 1994-95. "The prevalence of bipolar disorder in children in genuinely growing, but I think it's also because we are also becoming more aware that children who have very wild and very problematic mood swings may have bipolar disorder," said Dr. Rakesh Jain, a psychiatrist in Lake Jackson, Texas. But another reality that's not popular among parents is that sometimes, components of the child's environment contribute to these behavioral disturbances, said Dr. Charles Raison, psychiatrist at Emory University. There are, of course, children who genuinely have bipolar disorder, but he cautions that ideally, as a first line of defense, family support and therapy would be given to the child and problematic environments -- be it home or school -- would be improved, and then medication would be given as needed. "The problem is that's a bit of a pie-in-the-sky situation because most people don't have the money, don't have the access," he said. "On the other hand, there's certainly are going to be some kids that are so disruptive, so messed up and so bad, they probably need medication right away." Some kids, like many adults with mood disorders, do best with both psychotherapy and medication, said Raison, who has written about bipolar disorder on CNN.com. Although it is normal for children to throw minor fits when they don't get what they want, they are not moody by nature, and long-lasting tantrums may be indicative of bipolar disorder, Jain said. Because some symptoms of bipolar disorder resemble other conditions and there is not a lot of physician education about bipolar disorder in children, it is frequently misdiagnosed, Jain said. Jain admitted that earlier in his career, he frequently told young patients they had attention-deficit (hyperactivity) disorder or conduct disorder, when it became clear later that they were bipolar; he makes fewer of these mistakes now. Giving a child medication for the wrong psychiatric illness can have dangerous consequences, experts say. Muffy Walker, president of the International Bipolar Foundation, knows this firsthand: Her son had been taking antidepressants but had a full-blown manic episode at age 7. He talked about killing himself all the time; medication for bipolar disorder has helped him get back on track. There is large variation in individual response to psychiatric drugs, so there is always trial and error involved, notes Raison. It is rare for a child to show "classic" symptoms of adult bipolar disorder: rapidly changing mood swings and episodes of both depression and mania, Raison said. More often, children display nonspecific behavioral and emotional instability; they may or may not grow up to have full-blown bipolar disorder in adulthood, he said. That partly why some psychiatrists have proposed a new diagnosis for such kids for the forthcoming edition of the Diagnostic and Statistical Manual of Mental Disorders, the bible of psychiatry. It's called Temper Dysregulation Disorder with Dysphoria, and it would include young children who have recurrent temper outbursts to common stressors. Since it's not an official diagnosis currently, it's not as mainstream a term as "bipolar." Konjoian had never heard of it but is now curious. Bipolar disorder, and medications for it, appeared to fit her daughter best out of the available options, but she's open to the idea that there's something more specific to describe Jennifer. Jennifer, the middle child, was always the most sensitive of Konjoian's three children, her mother said. She never had any episodes at school; they usually happened when she felt overwhelmed by her family: for instance, when her siblings picked on her. "I felt like nobody was on my side. That's kind of how I always felt," said Jennifer, now 17, of Andover, Massachusetts. "Rather than try to calm down and tell them how I feel, I would just show it through emotion: I would just cry or yell." 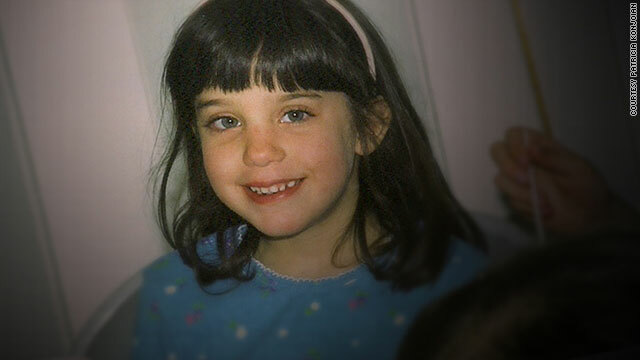 Konjoian suspected that Jennifer needed medical attention at age 8, when she would cry for extended periods of time and get into moods very quickly. A pediatrician found nothing wrong with her. "I can't think straight, I guess, when I'm agitated. I just start yelling, or I start crying. You just can't think straight," Jennifer said. At a therapist's suggestion, Jennifer's parents agreed to put her on antidepressants since she seemed to be getting worse. The therapist mentioned that it could be bipolar disorder, but at the time Konjoian didn't believe it. Still, when things worsened, Konjoian agreed to antidepressants. Jennifer was off medication for third grade, but in fourth grade things got worse. She received more medication and therapy, but the combination didn't seem to be helping. "A couple of times, she would open the bathroom window on our second floor and stick her leg out and threaten to jump, and you knew that it was something that she didn't even know herself, because when I'd question her about it later, she didn't even remember it," Konjoian said. After her second hospitalization and lithium prescription at age 11, Jennifer improved markedly, both in her mother's estimation and in the way that she feels about situations that used to give her difficulty. "In certain things that would get me upset, rather than just going off in a temper tantrum, I'd be able to think about it more. I feel like it slowed me down a little bit and think more so I could stop it from escalating," she said. "Also, I matured." In general, people with bipolar disorder must stay on medication for life because relapses are common, said Raison, who has not treated Jennifer. But some are fine for periods of time without them, he said. Jain agreed that some patients who do well can go for stretches without medication, but he has never been able to completely remove a bipolar patient from drugs and say, "you're cured." Bipolar disorder should be viewed as a chronic illness like hypertension or diabetes, which require lifelong management, he said. It is wise for anyone who does go off medicine to continue to see a mental health professional and closely watch for symptoms of recurrence, Raison said. Jennifer and her mother are both active in speaking out about mental illness. Jennifer, a senior in high school, volunteers with Families for Depression Awareness. Patricia Konjoian is the co-author of "Shut Up About Your Perfect Kid: A Survival Guide for Ordinary Parents of Special Children."